Apple’s design philosophy is heavily based in symmetry, blending or elimination of physical buttons and switches as well as using contiguous surfaces. Never before in Apples history has there been a product that has so consistently been refined with different trade-offs during its evolution than the iPhone1. The original iPhone had a metal back that covered 80% of its area with a solid black plastic strip at the bottom that allowed the antennas to function. RF2 requires something that is not conductive in order to be transmitted or received, hence if metal covers the antennas they won’t work at all. Both the WiFi and BlueTooth shared a common copper track on a flexible circuit board at the bottom of the phone and the Cellular Antenna was a much larger and more complex copper pattern on that same piece of flexible circuit board. The WiFi and BlueTooth were separate ICs powered by a Marvell Chip and Cambridge BlueCore respectively. A chrome rim surrounded the glass screen as a bezel and the volume and mute/sleep/wake button/switches were plastic. The headphone jack was at the top and the dock connector and speaker/microphone were on the bottom. The home button was larger than all of the other buttons being on the front face, was round and plastic. The balance of the phone always felt a little bit off: the bottom always felt ever to slightly heavier than the rest of the phone. Whilst this is not entirely a bad thing as it can help orienting the phone by feel, the plastic at the bottom was better at doing this by the feel of the material. The transition between the Aluminium back and the plastic antenna region was quite noticeable and over time with minor buckling, movement of the Aluminium became something that one tended to run their finger along subconsciously after using it for a while. 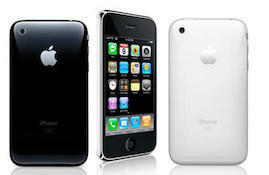 The iPhone 3 and 3GS are essentially identical in their exterior design. A single piece of convex plastic covers the phone back and sides however unlike the original iPhone the non-Home buttons are all made of metal. The 3G had the same WiFi/BlueTooth chipsets as the original however the 3GS moved to a Broadcom chip that incorporated both functionalities into the same chip. This has been the design for all iterations since. Both the 3G and 3GS have their WiFi/Bluetooth and Cellular antennas with the same design concept at the 2G - printed copper on a circuit board placed at the bottom of the phone in the same location as the 2G. The phone physically feels more comfortable in the hand and is more symmetrical however the feel of the plastic conveys a less-expensive feel to the phone3. 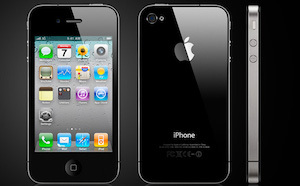 The iPhone 4 and 4S are essentially identical in their exterior design. However there is a huge difference in the antenna design between the GSM and CDMA iPhone 4 models. In a somewhat shocking design departure Apple used glass (which is RF transparent like plastic) as the back piece and moved the antennas to the outside edge of the phone made from durable stainless steel. The GSM iPhone 4 had two antennas: one for WiFi/BlueTooth/GPS and the other for Cellular. 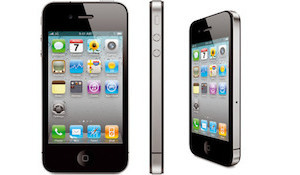 The CDMA iPhone 4 has two cellular antennas in addition to the WiFi/BlueTooth/GPS antenna by breaking the rim into three electrically separate sections. The iPhone 4S moved the moved the WiFi/BlueTooth/GPS antennas back inside the product (as per the iPhone 2G, 3G & 3GS) and used the top and bottom strips of the rim as the Diversity and Main Cellular antennas respectively. The larger physical size of the antennas improved signal reception however due to the signal loss when physically touched some of this advantage was lost. The “Antennagate” saga came from an issue that occurred where severe attenuation occurred when the two antennas (WiFi etc & Cellular) were bridged together. To create this problem a good connection was required and this was more predominant for those with low skin contact potential/resistance4. 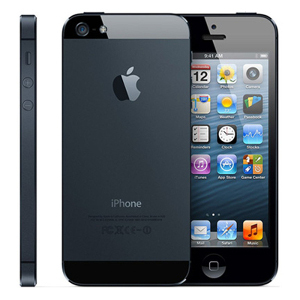 The issue was easily addressed by using a case or bumper around the rim of the GSM iPhone 4. It was not an issue with any of the future iPhones as Apple physically separated the antennas such that bridging in this manner was extremely difficult or even impossible using only one hand. The glass on the front and back of the iPhone 4/4S had a very small ridge cut into it and smoothed off such that although the transition between glass and metal was noticeable it was not a defined sharp edge and felt relatively comfortable in the hand. The weight and balance of the phone was excellent as was its symmetry and it felt very solid, strong and expensive. For many people the glass back panel was also very fragile despite being significantly thicker glass than the front panel. That said, of the 4 and 4S I owned over 2-1⁄2 years and counting, neither has been cracked or even chipped despite most of that time being caseless. 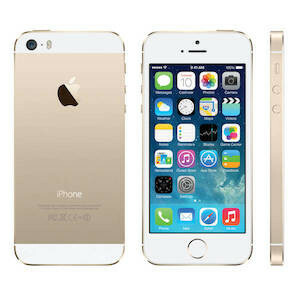 The iPhone 5 and 5S are essentially identical in their exterior design. A single metal plate covers the centre 80% of the phone back and sides however unlike the iPhone 2G design, a non-conductor (this time glass, like the 4/4S) is used evenly at both the top and the bottom to allow for WiFi/Bluetooth antennas. The band around the top of the phone and another on the bottom extends approximately 10mm toward the main metal backplate with plastic spacers separating the backplate from these two cellular antennas. Running your finger across the cellular antenna to backplate plastic gap transition is obvious and feels a bit disjointed as per the 4/4S design. In addition on the 5S the addition of a metal ring around the home button creates a very distinct textural transition that can be a bit grating but the other way to look at it is that it helps one to find the home button. The home button itself is slightly more depressed than previous models however is itself flat as opposed to concave in all prior designs. The lack of a full glass plate on the 5/5S has drawn Apple to include a chamfer around the outside edges of the phone. The chamfer angle on the bottom side of the phone is the same as the top but looks less shallow. This is due to the fact that the top has chamfered away more material to meet with the glass screen whereas the backplate does not need to do this. The edges feel quite prominent and almost feel uncomfortable requiring the user to reposition the phone in their hand periodically. 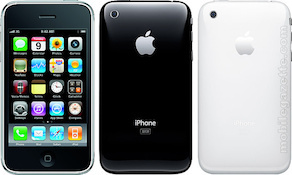 Unlike the original iPhone 2G with rounded metal and plastic and the 3G/3GS the 4/4S and 5/5S keep their jagged edges. Where the 4/4S design seems better is that the stainless steel band is subtlely rounded off as is the glass whereas the 5/5S is precision cut to a defined edge. Those with softer hands will notice this immediately and it can be irritating. That said, the effect looks very nice visually. 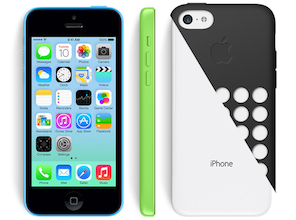 The iPhone 5c is essentially an upgraded 3G/3GS plastic case but this time with a flatter back that sits neatly on the table with a more expensive feeling plastic than previous models. That said, its still plastic and feels distinctly less expensive than the 4/4S/5/5S design. The antenna design is however essentially identical to the 4S/5/5S although this is hidden inside the plastic case. The cellular antenna also serves as additional structural support and is made from mild steel which is noticeably heavier than the 5/5s but still slightly lighter than the 4/4S. The buttons are all plastic and the colour matches that of the phone back. 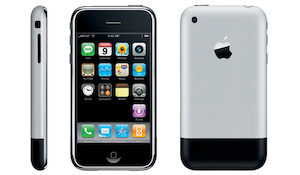 The most comfortable iPhone to hold in your hand is the iPhone 2G. Its rounded edges and metal (mostly) back feel expensive, solid and comfortable in the hand. Closely followed by the 5c, with its plastic finish but excellent weighting, symmetry and solidness it feels less fragile albeit slight less expensive to hold. Beyond this the 4/4S design feels perhaps the most solid iPhone in the list however due to its fragility one feels the need to be extremely careful when handling it naked. The 5/5S design is second last to my mind as the sharp edges of the chamfer simply feel wrong and its lightness is perhaps, oddly, too light making the phone feel hollow and tending to slide around in the hand. Finally the cheap plastic back of the 3G/3GS put them as the least comfortable on the list as they don’t sit flat on a hard surface, scratch easily and feel cheap to hold. The path Apple has chosen with its iPhone hardware design (and indeed, most of their hardware designs) has been to start with their preferred material: metal and then after several attempts with plastic and a dabble with glass it seems clear that the hybrid metal/glass approach meets the most criteria they have for product symmetry and look and feel with a cheaper option in the plastic case. In future I expect that there will always be a predominantly metal backed phone and with either a plastic or experimental material model. There has been some talk about carbon fiber as an alternative case material however given its relative infancy as a product material and lack of rigidity it is likely that it could only be used in a design such as the 5C. So far as RF design goes the only remaining options for Cellular are to provide additional antennas however reducing their size and increasing their number seems like losing too much gain without gaining much5. The future iPhones will likely support faster WiFi and more Cellular bands but that is more an obvious next step rather than an insightful prediction. In essence, there is very little else they are likely to do. It would be nice to see a return to the rounded edges of the original iPhone since human hands prefer smooth surfaces to defined edges (how many doorknobs have you seen with sharp edges?) however Apple sometimes place visual appeal ahead of ergonomics6 so I won’t be holding my breath there. No matter how you feel about their hardware designs, one thing is for certain: they are visually stunning each in the own way, and have pushed the state of the art of hardware design forward for mobile devices the world over.